OK, so you have a new team at work that you're trying to collaborate with (3 of Pentacles), but The Fool (a major arcana card) is telling me that this is brand new territory for you -- that you need to take baby steps! Your joyous winter wedding (4 of Wands) is ruled by The Moon card. This wedding may be the culmination of trusting your intuition and using your willpower and deep-rooted knowledge to manifest your dreams. Furthermore, Italian aristocrats understood that nearly all human beings experience these archetypes and growth patterns in a particular order. Not only can you often pinpoint where you are on this life journey (and apply this knowledge to other life situations), but you can also determine where you want to go from that starting point. 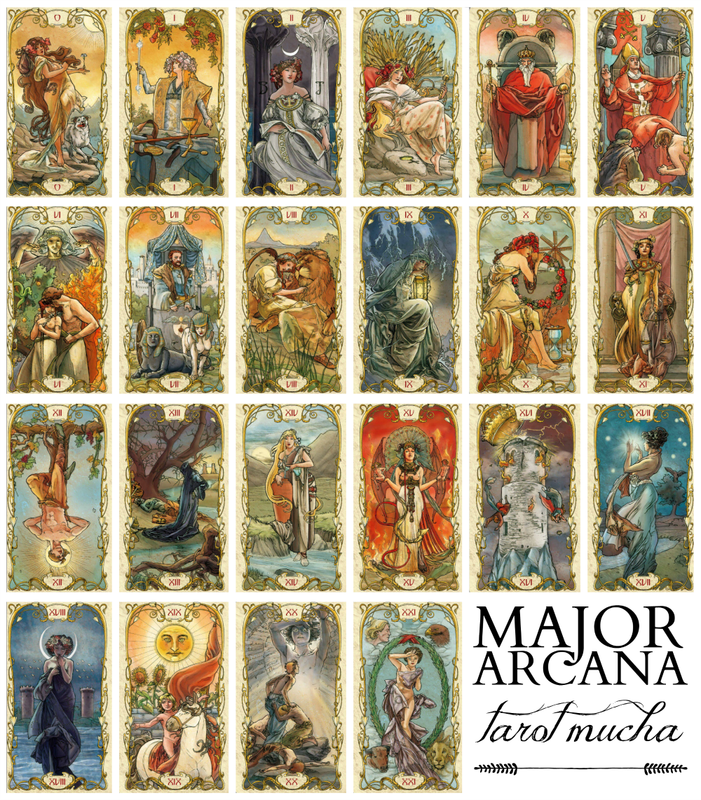 In this way, the Major Arcana can serve as a road map to lead you wherever you want to go in life. The progression of the Major Arcana is also sometimes called The Fool's Journey, because it shows a path of developmental stages. So, I often look to these cards to more fully understand where I am on my life's path. As I go through each card below and analyze the life lessons in these 22 cards, see if you can depict your own place in The Fool's Journey. It may be different for each area of your life -- life purpose, love, career, or family. This is the baby stage. You can't be expected to know everything and do everything on your own. You may need some guidance, and that's 100% OK. This is the age when you're starting to take steps on your own, talk on your own, eat on your own, and gain some significant independence. You're learning to use basic tools and to take control of your environment. At 2, our personality and intuition is forming. I like to believe that we begin to connect with the divine and build a spiritual bridge to form our unique selves. 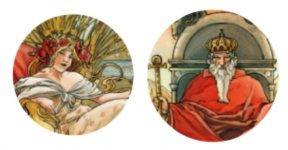 These cards represent the mother and father energies of the Major Arcana. Ages 3 and 4 are when we solidify our attachment to these two energies and begin emulating their behavior. The 3- or 4-year-old child may mimic the work of his or her parents. They're also learning discipline and boundaries instated by their parents. At age 5, children are usually more present in society (starting school, community activities, etc.). The Hierophant is the energy of being held to a higher authority than your parents -- by way of religion, society, school, and/or community. The Lovers card usually represents a romantic relationship in readings but, for this analogy, think of the child building partnerships with his or her peers and learning to form bonds of friendship outside of the family. This card represents learning to "drive," to be more in control of your life, to make decisions that will affect your existence. It's the ability to take care of one self to an extent. At 8-years-old, the child (in conjunction with the Chariot energy) is learning to trust in his or her own strength. This is about control too, learning control of emotions and outcomes. It's about learning restraint. This age often reveals a quietness, the ability to trust in one's self and access inner strength and wisdom. It's deeper than the Strength card. 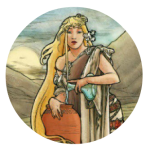 The Strength card reveals power over circumstance, while The Hermit reveals where that Strength comes from -- a guiding light, a deep intuition. This is an age when you may experience a "turn of the wheel," or a change in luck. It's a mid-life crisis of sorts, a time of discovery and figuring out who you really are. Similar to the Temperance card, this is when you begin to seek a balance in your life, a stability. It's about deciding who you will be in the eyes of society. It's no accident that the Hanged Man comes at a point in one's life when all seems balanced and planned. This is the card of a shift in thinking, a new vision of who you are and will be. This is very common at the start of the teenage years. The start of the teenage years certainly feels like dying sometimes. It's a feeling of hopelessness, of not knowing where you fit in or where you are on life's journey. It's a time of questioning and letting go of who you thought you were going to be. 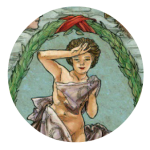 Temperance is recovery from this transition, picking up pieces, re-establishing your goals and direction. There is still connection to home and family support. This is a time of peer pressure and temptations. There's more opportunity for time alone with peers and most chances to be influenced by others. 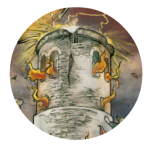 The Tower represents a time of upheaval and chaos. Learning to drive, spending more time away from home, planning to move out. Very real changes are faced at this age and possibly struggles and growing pains. These cards, to me, always represent a culmination of life's happiness -- the hope, faith, and balance of the Star card, the deep emotional growth and intuition of the Moon card, and the pure earthly joys of The Sun card. It's everything you need to find success and happiness. The child in the Sun card may represent having children or generational joy. The Star is about focusing on the positive, and The Moon about trusting yourself to chart your own path to happiness. Because the Judgment card has its ties to Christian belief and the "final judgment" of one's earthly life, after death, before passing on to eternal life, this card often represents difficult transitions and literal fear of judgment from others, or an awakening -- seeing the truth of the matter and being encouraged to change it. At the heart of its meaning is a revelation of self-knowledge and objective assessment of a situation. 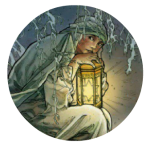 This card is sometimes seen as rebirth or reincarnation. It may be perceived as ascending to heaven after final judgment or starting The Fool's Journey again. In readings, it often represents the completion of a cycle and the energy of discovery and wisdom entering into a new phase of life. These stages can represent so many different areas of life. I may feel my family is at "Sun" status today, then at "Tower" tomorrow. And that's OK.
After every instance of upheaval in the Major Arcana comes a period of rest and hope. There is always hope. Completion isn't the same as perfection. It doesn't mean you have everything you want. Completion comes from having our basic needs met, from faith in a higher power and oneself (The Star), a deep intuitive connection with self and the world (The Moon), and in finding joy in everyday life (The Sun). Any time you feel like "The Fool" in your life, it's an opportunity to seek "The Magician" energy. We're all on The Fool's Journey. We will all experience "Death" and "Tower" moments in our lives. We must rise above them, because it's our Star, Moon, and Sun energies that determine how we let it affect us and how quickly we move forward.